Pearls can get super expensive. And that's why once you splurge on them, you want to make sure that you can wear them for a very long time. One thing that's essential in extending their lifecycle and preserving their coveted luster and shine? Keeping them clean—but doing so in the proper way. There is such a thing as cleaning them too often, of course, so it's vital to know and when not to take out the cleaning supplies. To help you, we decided to create a step-by-step guide that covers exactly how to clean pearls in six super-easy steps. Best of all though? You likely already have everything you need to shine your pearls. 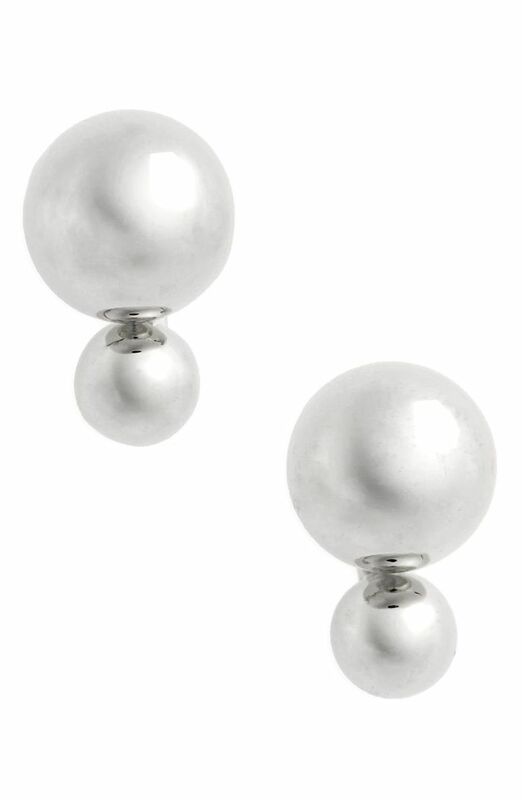 Read on for an easy-to-follow guide, and then shop our favorite pearl jewelry on the market. This is something you should always do. Wiping the pearl down with a lint-free cloth after each wear ensure dirt and oil buildup is limited. If the pearl is visibly covered in dirt, create a water-soap solution, using a mild dish soap and lukewarm water. (Note: Do not submerge the pearl in the solution). Lightly dampen a lint-free cloth with the water solution. Do not soak it so it's dripping wet, though. Gently wipe down the peal with the dampened cloth. This is an important step. Once you've wiped off the pearl, rinse it under lukewarm water. It's very important, though, that you do not leave it under water too long. A light rinse is enough to clean off the remaining soap solution. Before storing the pearls, make sure they are completely dry. Dry off with a fresh, lint-free cloth, and if there is any moisture left, allow the pearls to air dry for a few minutes prior to putting them in your jewelry box. Gift this stunning pearl bracelet to yourself. These are sitting in our shopping cart right now. Elevated hoops to wear nonstop. Yes, anklets are back and better than ever. Next up, five denim mistakes you're probably making.